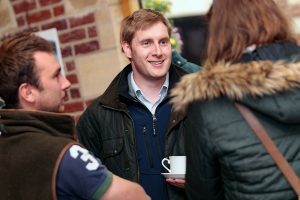 Cultiv8 is the East of England Agricultural Society membership group for young professionals working within the rural sector. 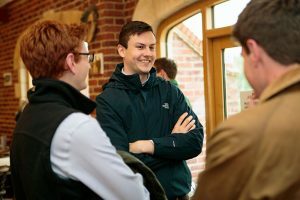 We run a series of talks and visits across a wide variation of topics, for example we have visited the Dodson & Horrell factory, Saxbys Cider, Johnsons of Old Hurst and CN Seeds and had talks on grant funding, leadership, soil health and rural policing. 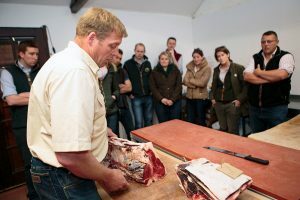 We have also provided bursary’s for members to attend the Oxford Farming Conference and the RASC conference in Singapore and hope to continue this in the future. Cultiv8 also have a benchmarking group which is run in conjunction with the AHDB. Alongside all of this we look to build a sense of camaraderie within our membership where members can build on both their personal network as well as their business. Whether you are a farmer or fruit buyer, land agent or engineer we hope that Cultiv8 has something to offer everyone that works within, has an interest in or aspires to work within the rural sector. Although our target audience is the under 40’s there is no restriction on age. We tend to have our core monthly meetings/visits in Jan, Feb, Mar, Apr, May, June, Oct, Nov, Dec. On top of this we may have additional special interest meetings or visits that happen as and when they become available. 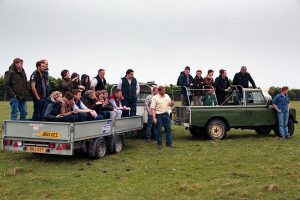 While we strongly encourage those that attend Cultiv8 to become a member of the East of England Agricultural Society (£30), it is not a requirement to come along to Cultiv8 meetings. This being said there are some opportunities that will require an East of England membership for example; to apply for a bursary you must be a member and members will likely get priority on special interest visits with restricted numbers. There may be an occasional visit or meeting where we ask those attending for a small donation to cover the cost, this is normally never more than £10 per person. To find out more about what we have been up to at past meetings, have a look at the Cultiv8 Blog.